Autumn in the Upper Arkansas Valley is a wonderful time to celebrate with seasonal festivities around the abundant harvest! 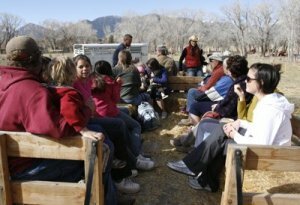 One great event for children and families will be Guidestone’s 6th Annual Pumpkin Patch Festival at the Hutchinson Ranch in Salida. The Pumpkin Patch Festival is a 3-day celebration open to the public, which offers a variety of activities and fun for the whole family. You can join in on a horse-drawn wagon ride pulled by one of Arkansas Valley Trail Rides’ team of horses out to the pumpkin patch where you can pick the perfect pumpkin for Halloween. Other engaging activities will include pony rides, an apple-cider press, crafts for the children, face painting, farm games, storytelling, and playing chicken bingo! Enjoy a barbecue meal with hot-apple cider and homemade baked goods. We are proud to be serving meals featuring foods that are locally-sourced, raised, grown, roasted and made! 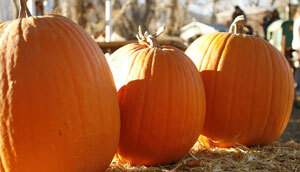 New this year includes Friday evening in the Pumpkin Patch! Stay for dinner, listen to the music of the Simpler Times Stringband, hang out around the bonfire, and stroll the twinkle-lit path to the pumpkin patch. Experience the magic of the ranch after dark! Also new this year is a Special Group Rate for school groups and youth organizations to visit the pumpkin patch on Friday morning before it opens to the public. Reservations required! For more info and to register, click HERE! Admission is $5 in advance – click HERE to purchase tickets! and $7 at the door. Children 2 and under are free! The cost of admission and the proceeds from the barbeque and baked goods will support Farmhands, Guidestone’s education program. Guidestone is a Salida-based non-profit organization dedicated to strengthening the local food economy through the preservation of agricultural resources and education. Guidestone’s Farmhands Education Program provides hands-on farm and ranch education opportunities for children, school groups and families. Special thanks to Arkansas Valley Trail Rides, LiveWell Chaffee County, Colorado Grown, Weathervane Farm, Cottonwood Creek Dairy and the Hutchinson Family for hosting and ongoing support!